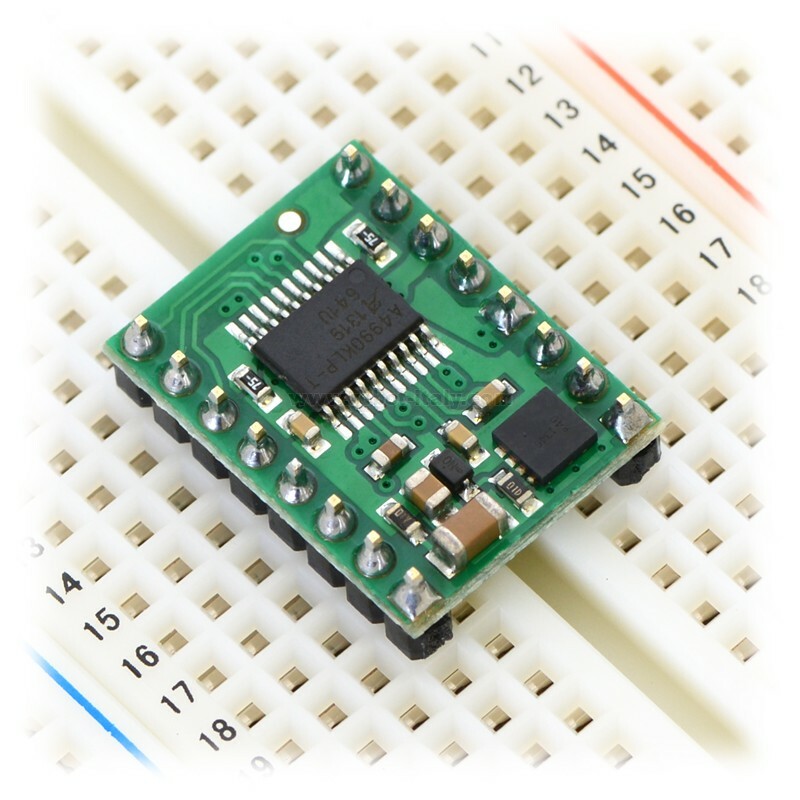 This compact breakout board makes it easy to use Allegro’s A4990 dual motor driver, which can control two bidirectional DC motors over a wide operating voltage range of 6 to 32 V. It is capable of delivering a continuous 0.7 A to each motor channel, and onboard sense resistors enable the A4990 to limit the peak motor current to about 0.9 A per channel. 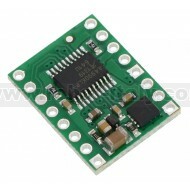 This compact breakout board makes it easy to use Allegro’s A4990 dual motor driver, which can control two bidirectional DC motors over a wide operating voltage range of 6 to 32 V. It is capable of delivering a continuous 0.7 A to each motor channel, and onboard sense resistors enable the A4990 to limit the peak motor current to about 0.9 A per channel. 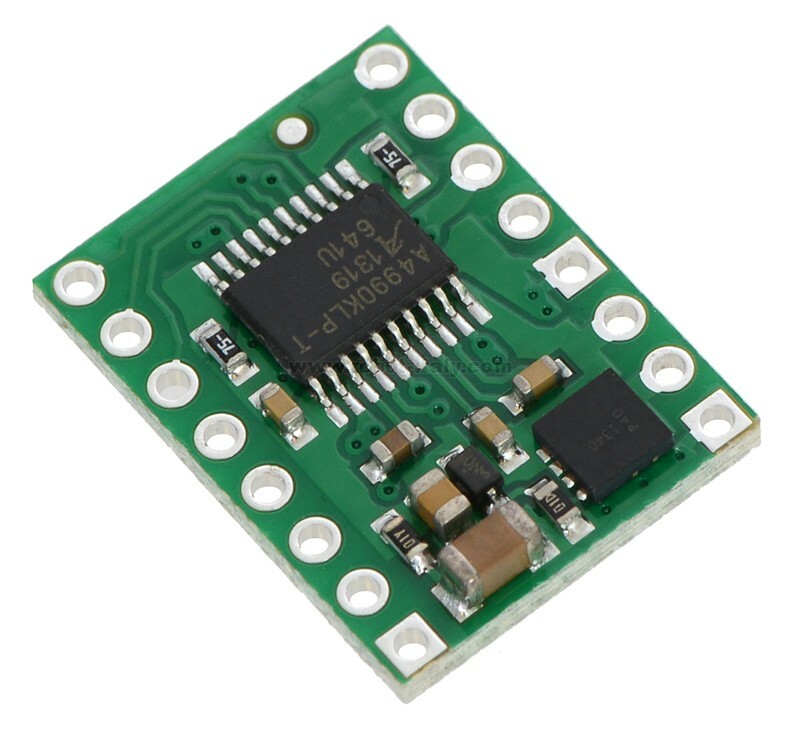 The driver also features protection against reverse-voltage, under-voltage, over-voltage, over-current, and over-temperature. 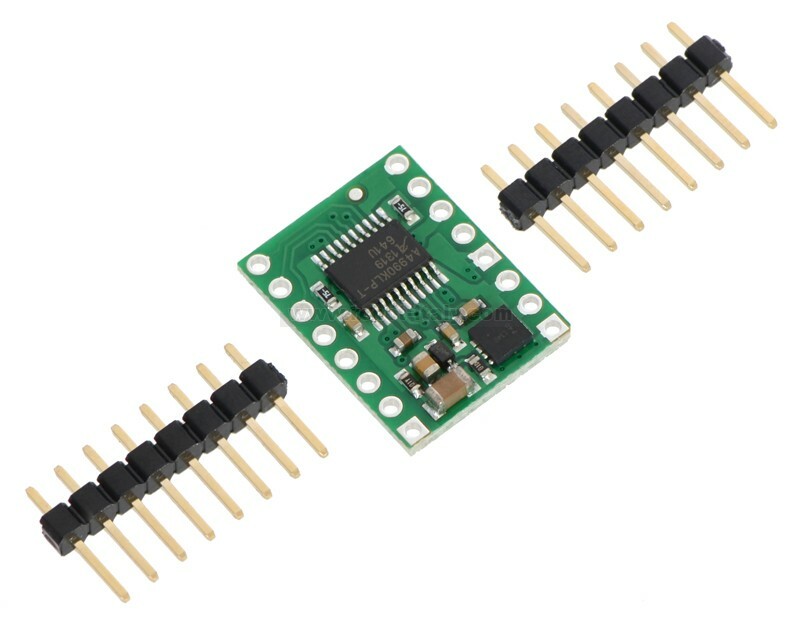 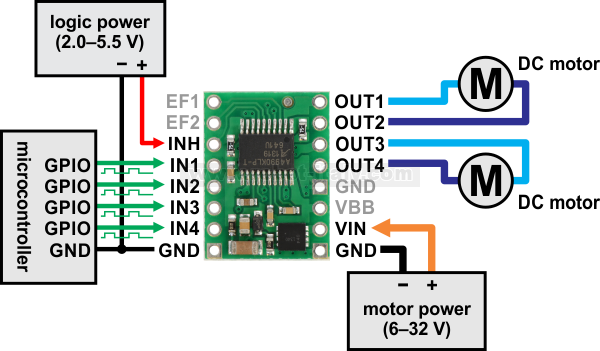 Allegro’s A4990 is a dual H-bridge motor driver IC that can be used for bidirectional control of two brushed DC motors at 6 to 32 V. It can supply up to 0.7 A continuously to each motor channel, and the current control feature of the A4990 limits the peak motor current to about 0.9 A per channel with the onboard sense resistors, making this a good choice for small, low-current motors that run on relatively high voltages. 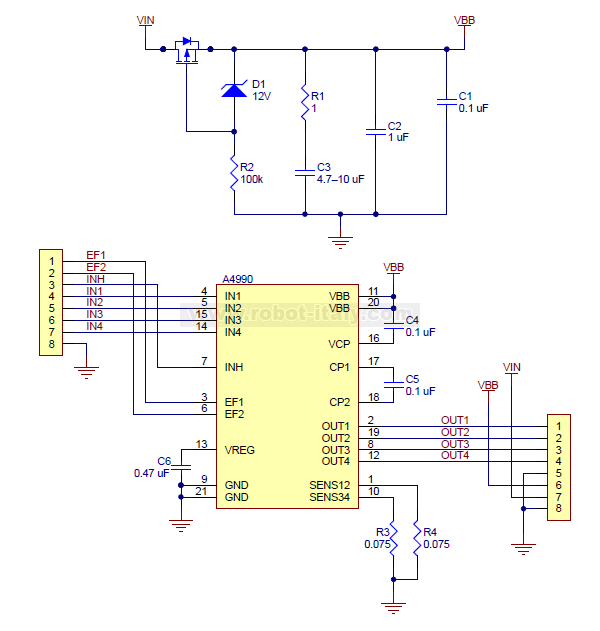 Since this board is a carrier for the A4990, we recommend careful reading of the A4990 datasheet (301k pdf). 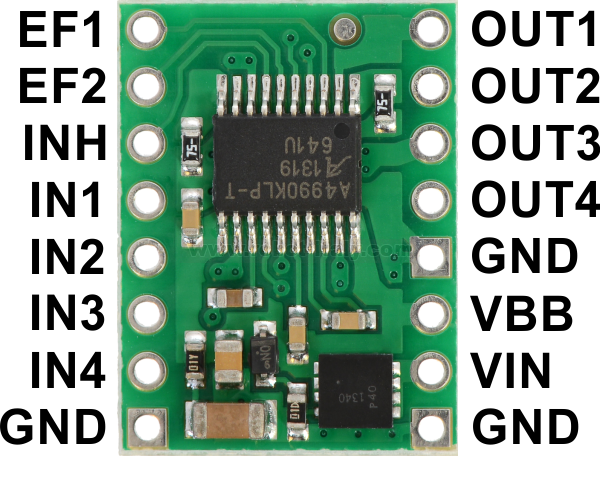 The board ships populated with all of its SMD components, including the A4990 and an additional FET for reverse battery protection. 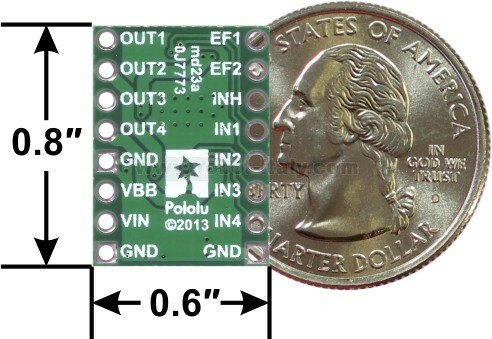 1 The overvoltage protection typically kicks in at 34 V, but it can trigger at voltages as low as 32 V.